What a perfect picture to start my Easter Sunday post. Of Course the Easter bunny came and his eggs in Grandma and Poppi's yard, so everyone was up bright and early to find them. Here is Auntie Mo with baby Liam. Liam wanting so bad to help hunt for eggs but he does look very content being held and cuddled. WHAT! The Easter Bunny left baskets too? Yes, more candy! Off to church in our dressy cloths to celebrate the Real reason for Easter, that Christ has Risen! This last weekend we not only celebrated my mom's birthday and Easter it was also my grandfather 90th birthday! Great Grandpa turned 90 years old this month. What a life he has lived this far. He is such a wonderful grandfather. He is so caring, supportive, and involved. He loves his great grandchildren and he has so much fun with them! My Grandpa with all his sibling who made the trip to help him celebrate the big day. My Grandpa is in the center with the blue shirt! The he is standing as the patriarch among the Koehler boys....four generations! The Koehler women... four generations. What a fun filled Easter Sunday and weekend. I am so glad that my girls and Tony got a chance to experience my whole family and all their fun! 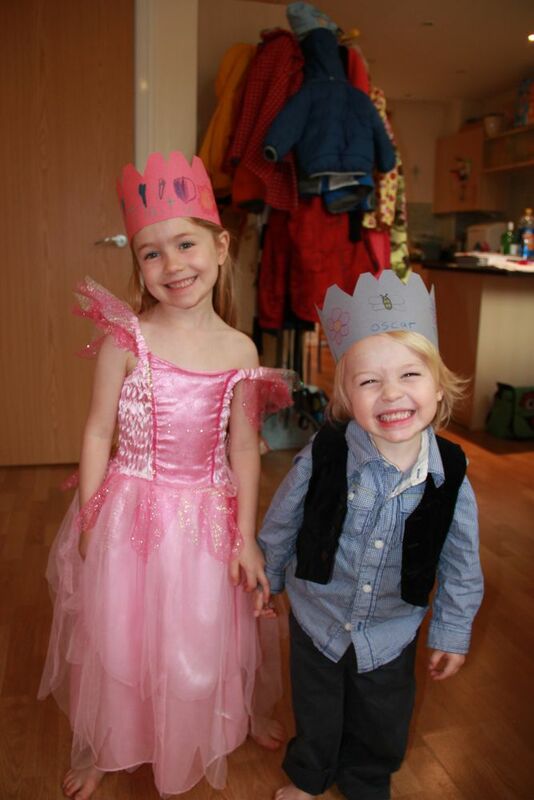 Little T and Little O were more than keen to take part in the Royal Wedding festivities. To help celebrate William and Kate on their special day, the dynamic duo dressed up for the occasion and had a 'street' party outside the front of the house. Set two oven racks in the middle of the oven and preheat to 375 degrees F. Line two baking sheets with parchment paper or silicone mats. 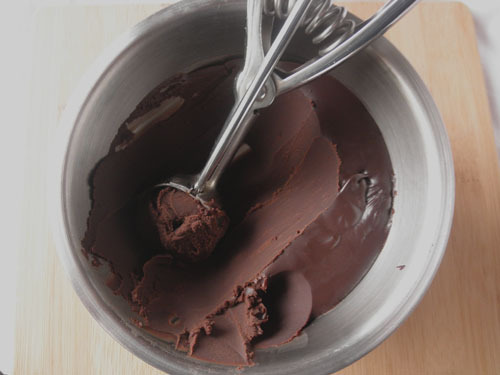 In a large bowl, mix the flour, cocoa, baking soda, baking powder, salt and sugar until combined evenly. Take rounded teaspoons of batter and place on the baking sheets about 2 inches apart. Wet your hands a little and slightly flatten the cookies. Not too much, just a little to get the general shape of the cookie, it will spread out more in the oven. Bake for 9 minutes, rotating once halfway through. 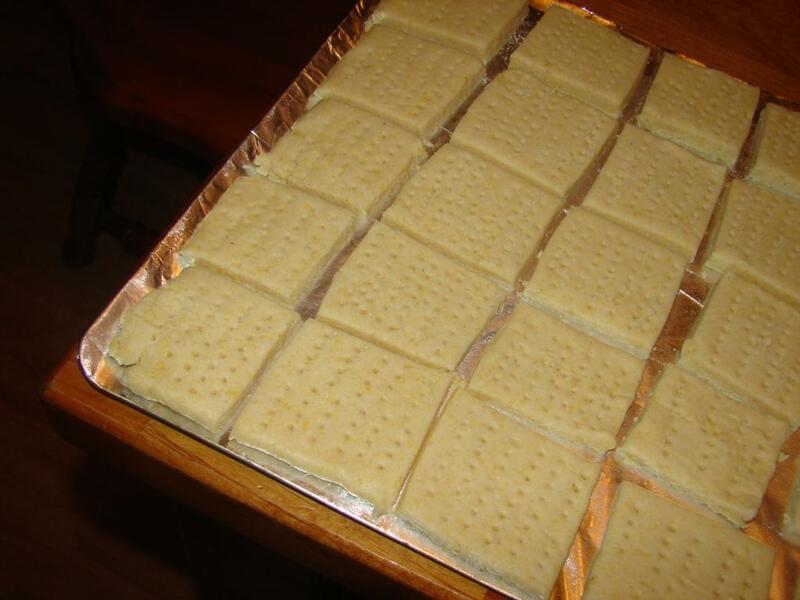 Remove from the oven and put baking sheets on racks to cool. 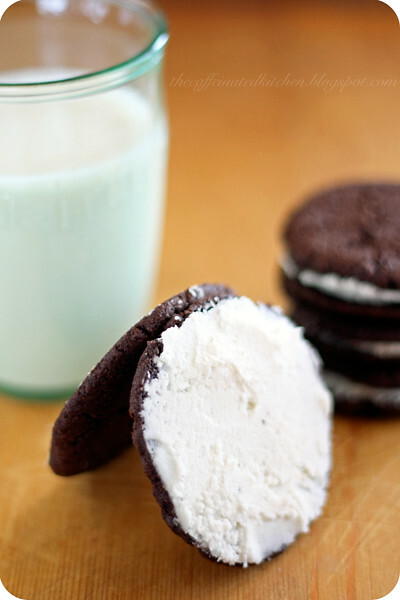 While the cookies are cooling, make the cream. Place the butter and shortening in the bowl of an electric mixer and, at low speed, gradually beat in the sugar and vanilla. Once incorporated, turn the mixer on med-high and beat for 2-3 minutes, until frosting is fluffy. 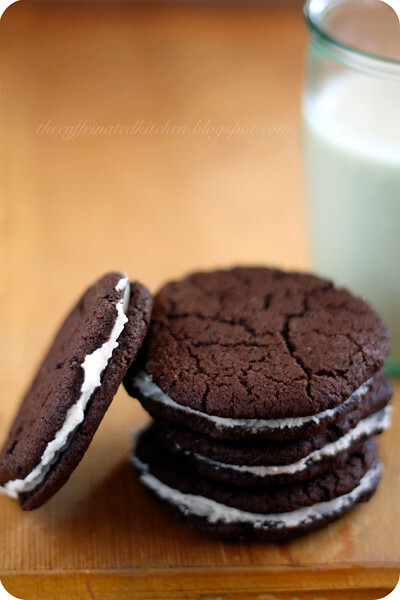 Using an offset spatula or butter knife, spread a generous amount of frosting onto the bottom of one cookie, then sandwich the frosting with another cookie of the same size. Repeat until all of the cookies are sandwiched. 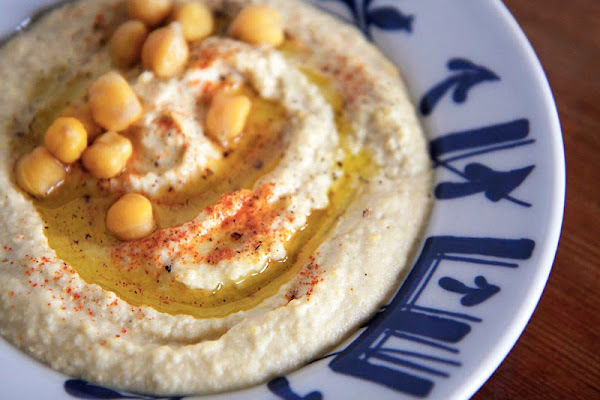 Store in an airtight container and enjoy for at least a week! So this was a moment two years in the making. All four of us sibling and our spouses have not been together since my brother Shaun's wedding, which was before the girls were born. All four of us enjoy each other's company and have been close our entire lives, but location keeps us from spending as much time together as we would like. So we took this opportunity to go out have fun together. After Mom's birthday bash last weekend we headed to Dave and Busters and had some all American fun! The boys playing some sort of "Man's Game" it was VERY intense as you can tell! Ski ball is one of my faves! Mo on Air Hockey... my very fave. I played twice and lost both times :( I am a bit rusty these days. THE WHOLE GANG...I love this group! Rachel Fu Shen's referral was long-awaited and unexpected. It was also the happiest surprise of our lives. I remember studying that sweet face and wondering what this little girl was like. Back then, we had no idea of who she was. We didn't know that, as a friend described it, "Rachel didn't slip into your life, she exploded!" That's about right. 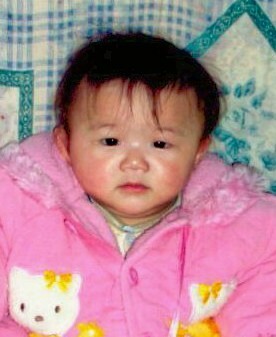 We didn't know then how much energy and excitement she would bring to us. Or laughter - lots and lots of laughter. We didn't know that our days of sleeping in were pretty much over. Or that she would love kitties and the color pink so much (it makes her referral outfit even more fitting!). Or that she would shower us with hugs and kisses and "I love lou" dozens of times a day. We didn't know how amazing she was. We didn't know that she would be perfect for us. But we hoped. And she is. Happy Referral Day, Rachel! Toasted pine nuts are.... totally toasty.... and pointedly perfect. Olive oil is outrageously outstanding. 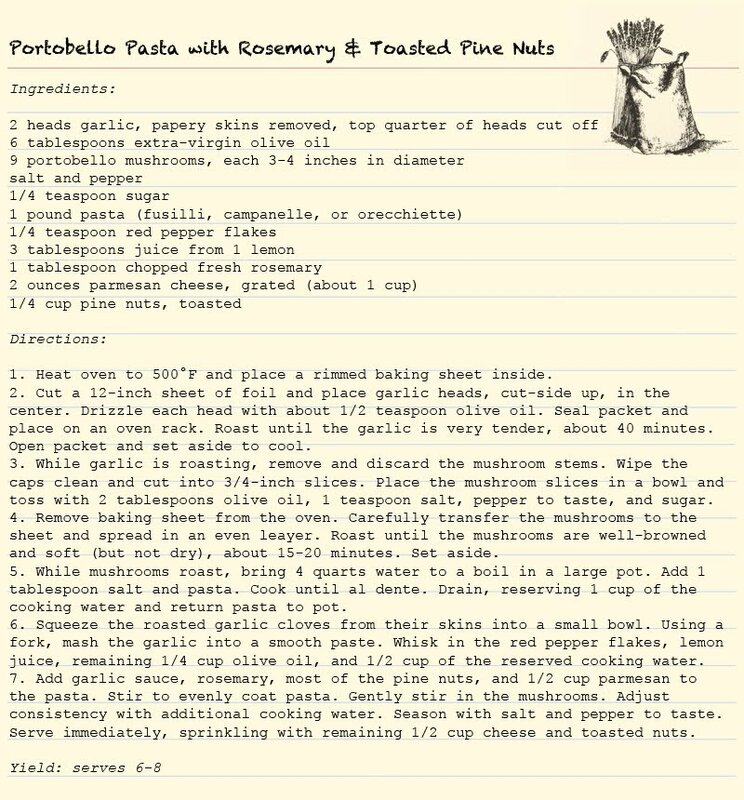 Portabello mushrooms are pleasantly pleasant and marvelously marvelous. And pasta is superly stupendous. 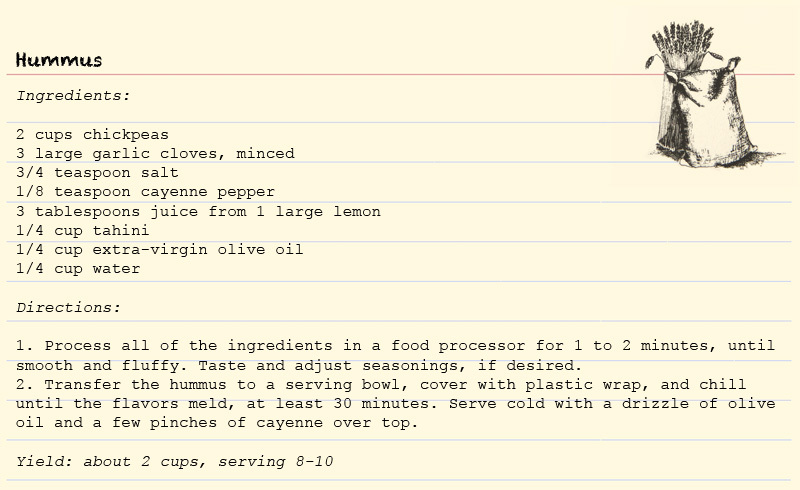 The point I'm trying to make here is that you should make this and eat it because it's good. Kind of really good, actually. 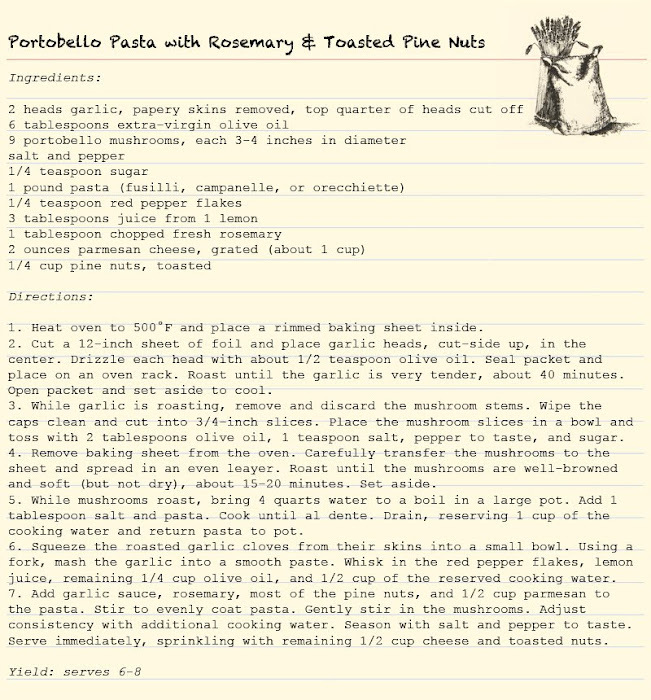 Notes: Feel free to use whole-wheat pasta if you have it on hand. 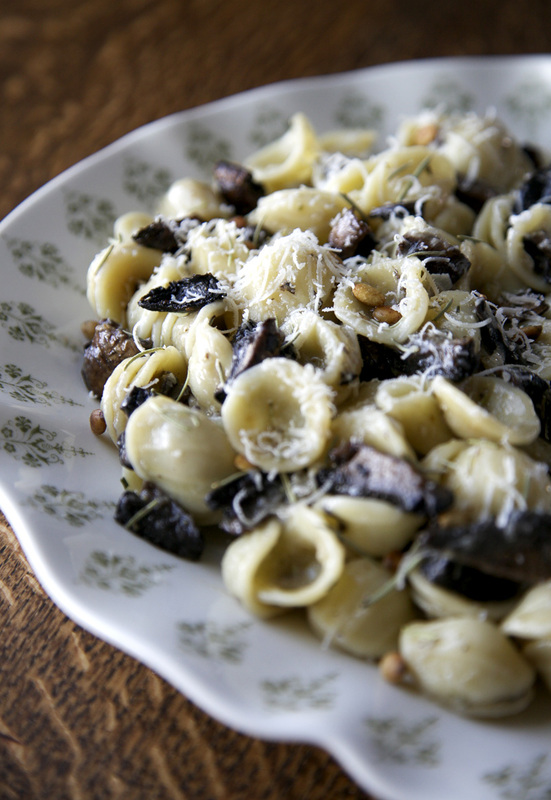 I used orecchiette, which works wonderfully because it catches all of the goodness in its little bowls. My mom, aka Grandma, turned 60 this year. In honor of her, all her kids and grandkids came home to celebrate. We all worked with my dad to throw her a spectacular party on the Saturday before Easter 4/23! My cousin's fiance made the cake. Maureen "Auntie Mo" made the favors. She was welcomed with a party hat, some bling, and a fancy glass filled withsome spiked punch! My dad put together a slide show of her 50 years, it was a great look back! Mark, GG, Grandma Mar, Nanna, Great Grandpa. What a great party in honor of a great woman! What's better than creamy smooth dark chocolate? Creamy smooth dark chocolate with some heavy cream and butter, that's what. I don't know why these are perceived as so fancy. They're probably one of the easiest things to make involving chocolate and they're heaven to eat. 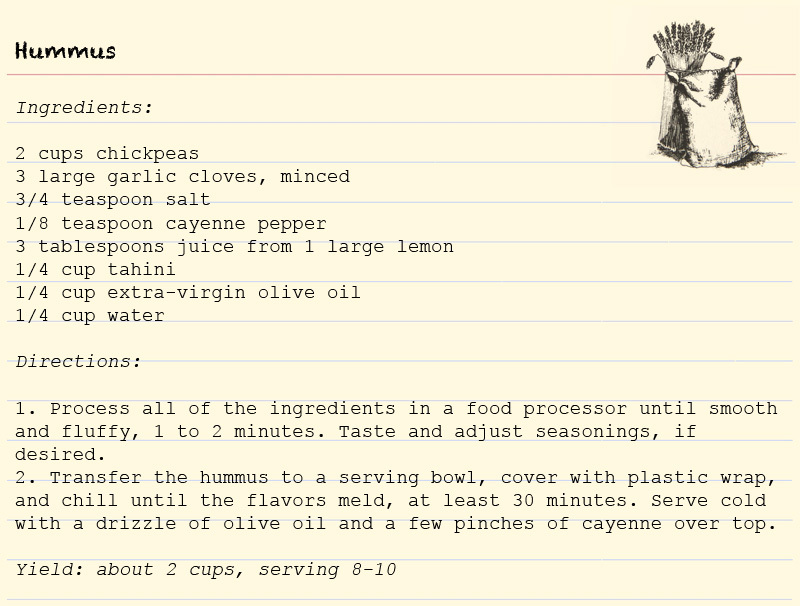 Our friend Cheryl Tellers-now-Whitney first introduced me to this recipe. She added Bailey's Irish Cream to hers, and you should feel free to do the same, but I like my chocolate flavor to be pure and non-alcoholic. That's just me. Soon after that I started topping cheesecake with chocolate truffle; just poured the liquid over a baked cheesecake in the pan. People loved it. Very rich. I don't do that too much anymore because each flavor has enough richness on its own. This batch was made from the leftovers from my Easter cupcakes (Cocoa Whipped Cream Cupcakes), so I can't really tell you how many truffles this recipe will make for you. If you try it, let me know. I use my small Pampered Chef cookie scoop for this job. In a heavy saucepan, bring cream to a boil. Remove from heat. Stir in butter until it melts. Stir in chocolate until all is melted. Refrigerate uncovered until firm, about 3 hours (maybe?). 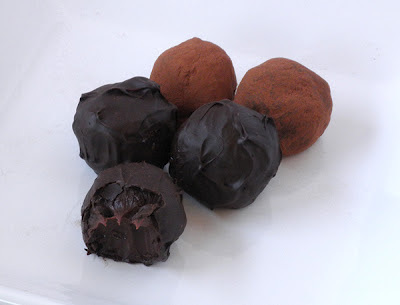 If you're not going to form truffles in the next few hours, go ahead and cover the bowl once the chocolate is firm. Scoop out about a tablespoon and roll into a ball. Roll in cocoa powder. I keep mine in an airtight container in the fridge until ready to eat. As you can see in the picture below, these are pretty soft. 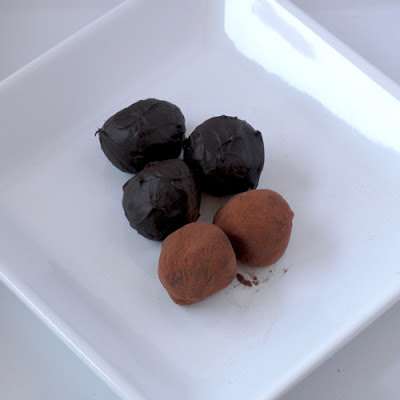 If you'd like firmer truffles, adjust the cream to chocolate ratio a bit. Granny made the girls Easter dresses. Katherine requested that they "be the same but different colors" so Granny went to work. I love the results! On Friday we went to the beautiful backyard of some friends for a photo shoot. Katherine is a wonderful model. She likes having her picture taken and can strike a pose or flash a perfect smile on request. Rachel, on the other hand, is something of a challenge to photograph. Basically, we just chased her around and took shots wherever we could. She would only pose for about two seconds, so we had exactly one chance to get the shot. We moved a lot, but laughed a lot, too and ended up with some good pictures. We even managed a few good pictures of both girls together! And then Rachel found a snail. That was pretty much the end of the photo shoot. But the girls sure had fun watching that little snail!